Introduction: Charles Spurgeon refers to the opening verse of this psalm as “the great question. Asked by idle curiosity, despair, godly fear, earnest enquirer, soul troubled by falls of others, holy faith” (Treasury of David, e-Sword). Such are examples of the many motivations that lead people to ask such a question. Yet, no matter what motivates a person to ask such a question as David asks here, the answer is the same, as we shall see in our examination of the psalm. We will focus our attention on 1) a crucial question, 2) a careful answer, and 3) a comforting promise. I. A Crucial Question: Who may experience unhindered fellowship with the Lord? This is essentially the question set forth in the opening verse. NKJ Psalm 15:1 A Psalm of David. 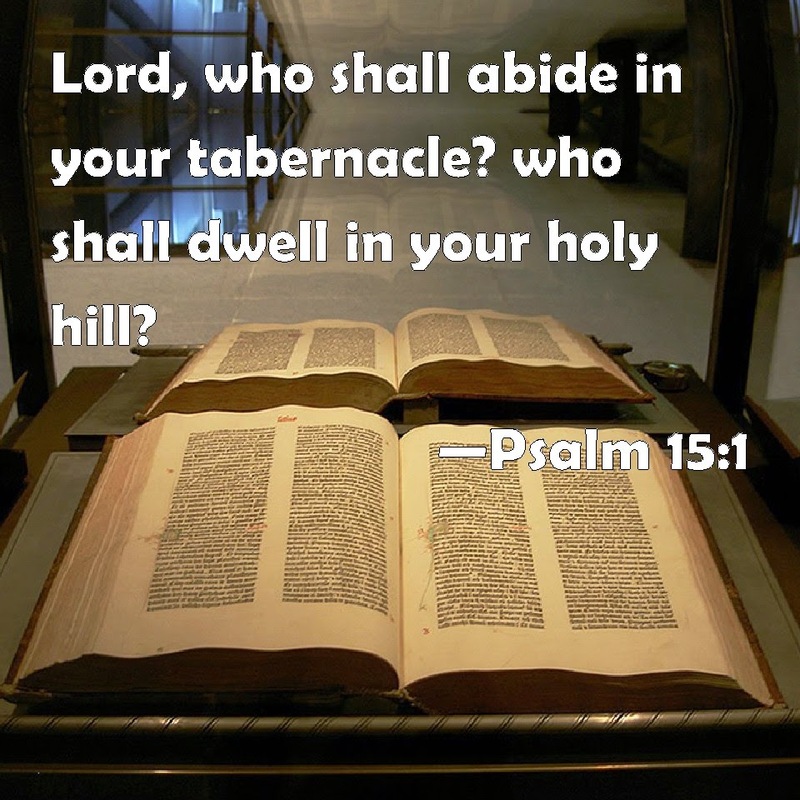 LORD, who may abide in Your tabernacle? Who may dwell in Your holy hill? As we consider these two questions briefly, we will see how they really amount to one question, as I have already suggested. In fact, there are a couple of important points to observe concerning these questions if we are going to properly understand what they are really about. First, the combination of references to God's "tabernacle" and His "holy hill" seems to indicate that the ark of the covenant had already been moved to the tabernacle David had built for it on Mount Zion in Jerusalem. This means that David is contemplating entering into the presence of God in worship in this psalm. He is thinking about going there to experience fellowship with the God. Second, when David asks who may "abide" in the tabernacle or "dwell" in the holy hill, he is using terms that speak of a continued, enduring experience of fellowship with God. So, again, these two opening questions are actually two ways of asking essentially the same question, namely "Who may experience unhindered fellowship with the Lord?" This is not, then, a question about how someone may be made right with God, about who may enter into a relationship with Him. Rather it is a question about how someone who already has a relationship with God may experience fellowship with Him more fully and consistently. It is about the kind of person of which God approves. The question thus has more to do with assurance of salvation than with attainment of salvation. Having thus understood the nature of the question, we are ready to move on to the second major point. II. A Careful Answer: David describes the kind of person who may experience unhindered fellowship with the Lord. Here David is talking about the kind of person who consistently lives in a way that pleases God. He is using the common Biblical metaphor of walking to speak about the way ones lives his life. And such a person's life will not be just talk of righteousness; it will be filled with righteous actions, what David here refers to as working righteousness. But David does not stop with this general description. He is very careful to demonstrate that genuinely righteous character involves all of life, everything that a person says or does. This is why he goes on to list at least six specific – and representative – ways in which this godly character will show in a person's life. 1. Godly character will show in a person's love of the truth. When David refers to a person who speaks truth in his heart, he means to indicate a person who embraces the truth in his heart and thinks about it. He doesn't just pay lip service to the truth, but truly believes it. In other words, he loves the truth. Now, of course, only God can really see whether or not we sincerely embrace the truth in our hearts, but then it is God's assessment with which David is most concerned in this psalm. Still, however, when a person sincerely embraces the truth in his heart, then it will show in ways that other people can see as well. And this leads us to consider the other ways in which godly character will be seen in a person's life. 2. Godly character will show in a person's speech. In addition, James Montgomery Boice was almost certainly correct when he said, “I think more damage has been done to the church and its work by gossip, criticism, and slander than by any other single sin. So I say, don’t do it. Bite your tongue before you criticize another Christian” (As cited by David Guzik, Commentary on Psalms, e-Sword). But, of course, what David has in mind here is that we will never slander anyone, whether that person is another Christian or not. 3. Godly character will show in a person's conduct toward others. When David says that a righteous man does no evil to his neighbor, he means that he will avoid injuring in any way anyone with whom he has contact or dealings of any kind. In other words, he means to say that we will do no harm to anyone at all. As David's son, Solomon, would later say through the inspiration of the Spirit, “Hatred stirs up strife, but love covers all sins” (Prov. 10:12). 4. Godly character will show in a person's choice of role models. Who are your models? Who do you look up to? Whose actions and character do you find offensive? This is one of the saddest things about today's younger generation. A few years ago a government commission in Canada studied the characteristics of today's young people, and one of the things they discovered is that youth of today have no heroes. This is hard for most older people to appreciate, for we did and do have heroes. There are people we have looked up to and have tried to be like. But the youth of today generally have no heroes, no models. Without heroes they tend to drift along. But there is one thing worse than having no models, and that is having the wrongs ones. And I suspect that, in spite of the Canadian study, many young people are drifting in this direction now. They admire the rock singer who has an abominable lifestyle but is nevertheless rich and famous. They admire the crack dealer who prances around in fancy clothes and sports gold jewelry. And the upright people? Fathers who provide for their families? Mothers who are faithful in caring for and rearing their children? People who sacrifice for others? The young couldn't care less about such people. A godly person will not get caught up in our culture's love of celebrity status, nor will he excuse away the faults and sins of noted celebrities just because he might like some of their music or movies, nor will he overlook the sins of his favorite politicians, just because he might agree with them on some things. NKJ Philippians 2:25-30 “Yet I considered it necessary to send to you Epaphroditus, my brother, fellow worker, and fellow soldier, but your messenger and the one who ministered to my need; 26 since he was longing for you all, and was distressed because you had heard that he was sick. 27 For indeed he was sick almost unto death; but God had mercy on him, and not only on him but on me also, lest I should have sorrow upon sorrow. 28 Therefore I sent him the more eagerly, that when you see him again you may rejoice, and I may be less sorrowful. 29 Receive him therefore in the Lord with all gladness, and hold such men in esteem; 30 because for the work of Christ he came close to death, not regarding his life, to supply what was lacking in your service toward me. If we want role models, it is men like this to whom we should look! 5. Godly character will show in a person's integrity. If a godly person gives his word to do something, or enters into a contract, he will not go back on his commitment even if he later finds out it will do him harm, cost him dearly, or cause him loss in any way. 6. Godly character will show in a person's use of money. NKJ Psalm 15:5a He who does not put out his money at usury, nor does he take a bribe against the innocent. First, a godly person does not try to profit from the misfortune of others. This was typically what happened to poor people in ancient times. It was common for those who had plenty of money to loan it to desperate people – people who were just trying to survive – and to charge them exorbitant interest rates. There is no room for such greed in a godly person's life! Second, a godly person will not pervert justice for money. Again, bribery was common in the ancient world, but a godly person would have nothing to do with it. Even if he himself was poor, he would never accept a bribe! Thus we have considered the crucial question asked by David in this psalm, and we have also considered at some length his careful answer to the question. We are now ready for our third and final point. III. A Comforting Promise: Such a godly person will never lack assurance. NKJ Psalm 15:5b He who does these things shall never be moved. NKJ 2 Peter 1:5-10 But also for this very reason, giving all diligence, add to your faith virtue, to virtue knowledge, 6 to knowledge self-control, to self-control perseverance, to perseverance godliness, 7 to godliness brotherly kindness, and to brotherly kindness love. 8 For if these things are yours and abound, you will be neither barren nor unfruitful in the knowledge of our Lord Jesus Christ. 9 For he who lacks these things is shortsighted, even to blindness, and has forgotten that he was cleansed from his old sins. 10 Therefore, brethren, be even more diligent to make your call and election sure, for if you do these things you will never stumble. Conclusion: In closing today's teaching, I would like to remind you all of a critical point made by Derek Kidner his commentary on this passage. He correctly points out that “the qualities the psalm describes are those that God creates in a man, not those he finds in him” (TOTC 14a, p. 82-83). NKJ Psalm 32:1-5 Blessed is he whose transgression is forgiven, whose sin is covered. 2 Blessed is the man to whom the LORD does not impute iniquity, and in whose spirit there is no deceit. 3 When I kept silent, my bones grew old through my groaning all the day long. 4 For day and night Your hand was heavy upon me; my vitality was turned into the drought of summer. 5 I acknowledged my sin to You, and my iniquity I have not hidden. I said, 'I will confess my transgressions to the LORD,' and You forgave the iniquity of my sin. As those in the Reformed theological tradition often put it, “We are saved by grace through faith alone, but the faith that saves is never alone.” Saving faith brings righteous works along with it, and this is a great source of assurance that God is indeed at work in us for His glory and for our good. 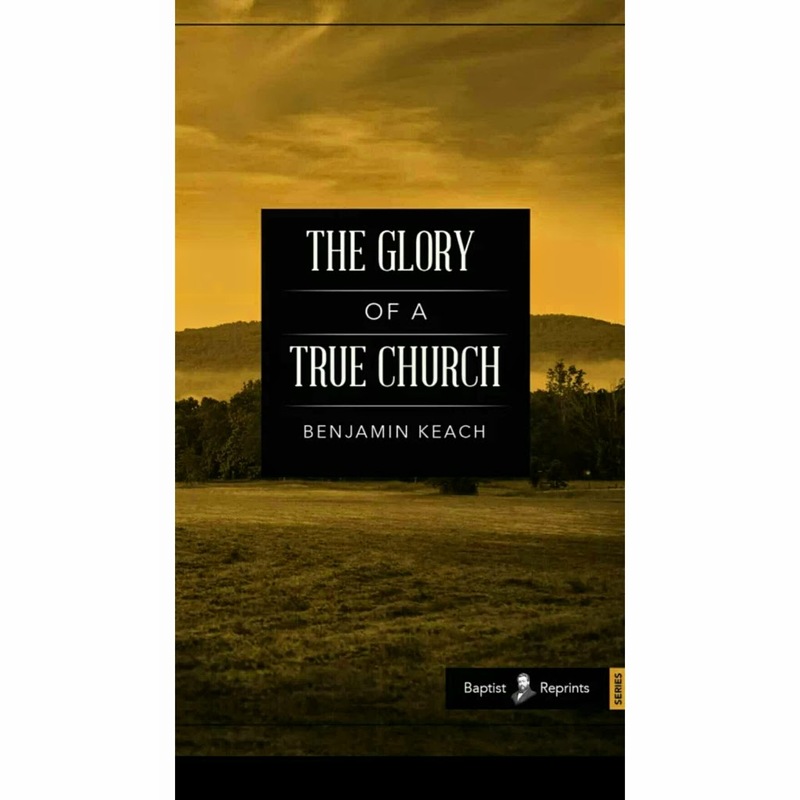 Free Grace Press has had the privilege of adding another book to our Baptist Reprints set: The Glory of a True Church by Benjamin Keach. This book was last printed in the early 1880’s. Benjamin Keach was one of the best and most well-known Baptist, Puritan theologians of the 1600s. He was instrumental in introducing hymns into the church’s worship, and also was one of the framers of the 1689 London Baptist Confession. He also had a profound love for the church. He began preaching at 18, and pastoring at 28 and his ministry was tremendously blessed by God with growth in truth and defense against error. He was despised by the authorities of the Church of England and often persecuted for his faith. His church had to be added onto many times; and a little over 100 years after his death a preacher by the name of Charles Spurgeon took up the office of pastor there in his church. This little book was written to be easily and readily available to all, even the poor. Many Congregationalists had written large books on the subject, but Keach was the first of the Baptists to put forth a book on church discipline; and he made it short in hopes that it would spark a Baptist discussion that would show the order and beauty of the Baptists in the midst of the Church of England’s persecution on them. Though it is short, it is packed with practical examples on church discipline, and a contagious love for the church. You will find it very easy to read, and the book is sure to grow you in your love for Christ and his church, and to bring order to the church. 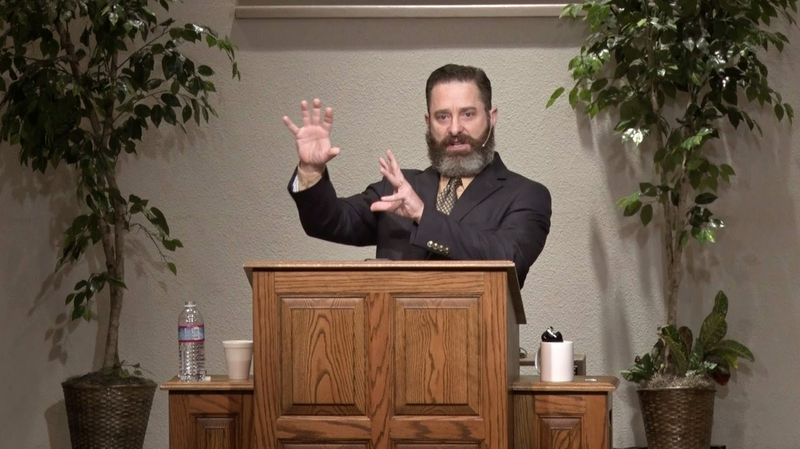 What does it mean to be a Baptist? Though ideas abound, we must go to the one man for a sure answer, John Quincy Adams. For with unashamed boldness and clarity Adams articulates the fundamental distinctives of the Baptist Faith. These fundamentals include the importance of Sola Scriptura, believer’s baptism, the separation of the church and state, equality of the saints, and liberty of conscious. Even C. H. Spurgeon, calling it “the best Manual of Baptist Principles he had met,” included the text in his Pastor’s College curriculum. 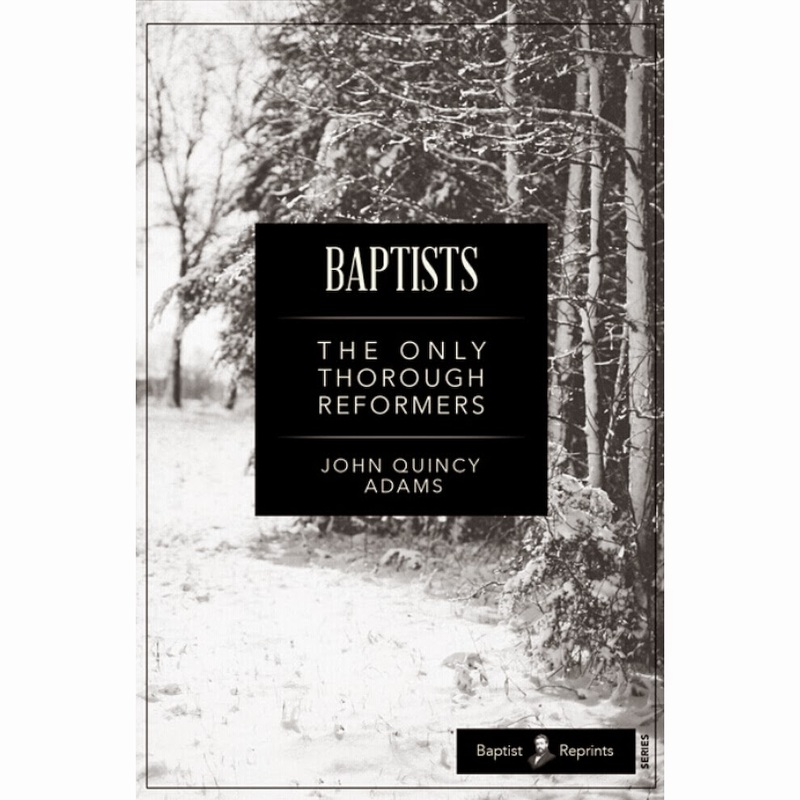 First published in 1858 and reprinted multiple times since, this work has become a classic tome upon Baptist principles. In addition, you will find a great price on both of Jeff Johnson's outstanding books on Reformed Baptist Covenant Theology, namely The Fatal Flaw of the Theology Behind Infant Baptism (in my opinion, the best ever written by a Baptist on the subject) and The Kingdom of God.